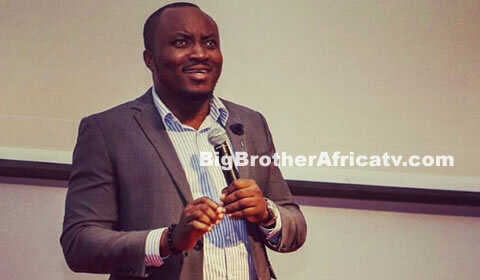 Big Brother Africa 2019 | Season 10 Housemates, News, Contestants, Live Stream, Polls, Nominations: DKB - "Don’t Call Me A Comedian Again"
DKB - "Don’t Call Me A Comedian Again"
Ace comedian and Reality TV star, Derick Kobena Bonney, who was recently crowned Ghana’s king of comedy at his hugely successful DKB Point Of View show has demanded of Ghana’s not to refer to him as comedian any longer. He took to photo sharing micro blog Instagram to announce his hilarious new title. He now wishes to be known and referred to as “PUBLIC HUMOUR THERAPIST”. Born Derick Kobina Bonney, the comedian and TV personality shot to international fame as one of the celebrity housemates on the seventh season of the reality competition television series Big Brother Africa, in 2012, and has since then, garnered acclaim as one of Ghana’s finest comedians currently.